This month it seems like all the major publishers have been entering the iPad ring. The Economist launched their iPad app, News Corp and Apple launch The Daily, and Virgin launched the Project. Now The Economist Group are throwing another hat into the ring with the launch of the Intelligent Life iPad app. Intelligent Life, is a quarterly lifestyle and culture magazine, available in the App Store, the winter issue has been sponsored by Credit Suisse, and is free to download. The current issue covers a mini biography of Ralph Fiennes, a comparison of Appleism vs. Googleism and an essay asking why we are turning verbs into nouns. 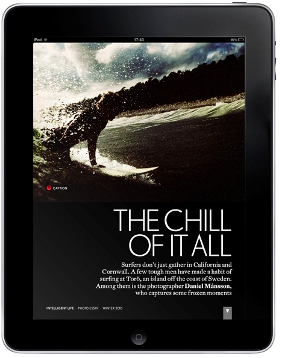 Once downloaded, the issue is stored on the iPad, so that you can read the articles without the need for an internet connection. The app also includes embedded audio and video so readers can to listen to clips of reviewed music or watch film excerpts. Word Lens – is this translator the most useful AR app ever?